FiveEleven West opened its doors in July 2008 at the Credit Union Place, Summerside PEI. 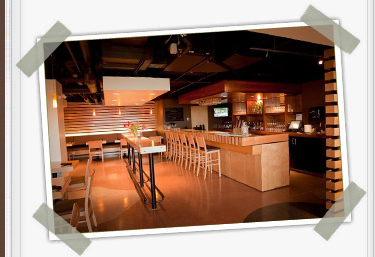 Located to the left of the main lobby doors of the Credit Union Place, FiveEleven West is a full service restaurant that offers a casual approach to dining with a cool & hip décor, friendly service & chef created food & beverage menus. 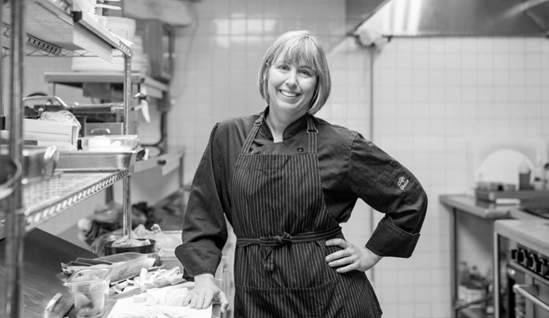 Chef Emily creates seasonal menus to reflect what is fresh & tasty throughout the year - so don't expect the same items to be there year round - change keeps us inspired & on our toes! FiveEleven West's Pub Menu is very popular & is available for lunch & dinner. Our dinner menu features an appetizer & main course menu with 5-7 choices in each. Our extensive wine, beer & custom cocktail menu also changes seasonally - great reasons for people to saddle up at our beautiful walnut & birch bar to see what's new! We love occasions & even create reasons to celebrate through the year with special menus, drinks & décor. We are happy to accommodate large groups (up to 40) & encourage reservations. We love kids & offer a kids menu that is not from a box! We look forward to serving you @ FiveEleven West!